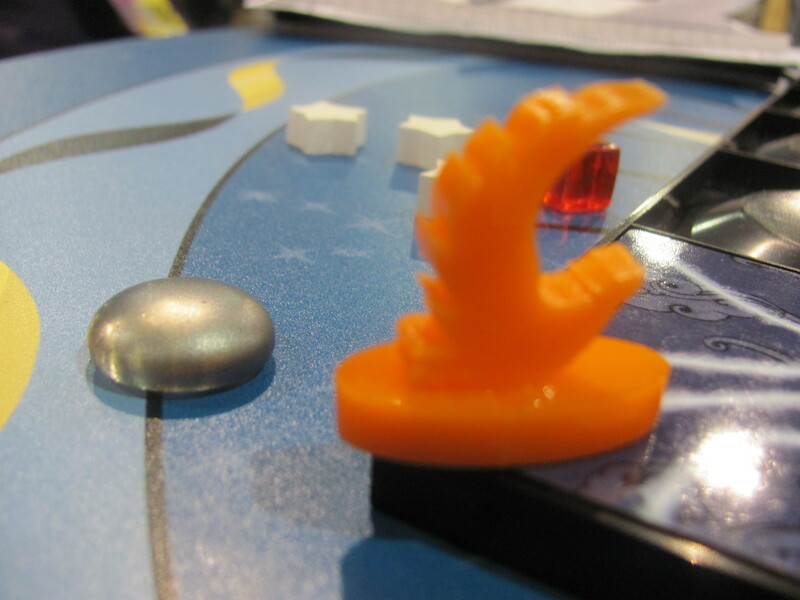 For the 10th year of the company, Calliope plans a new release in the Tsuro line. Like previous entries, it’s a path-building game that takes up to eight players. 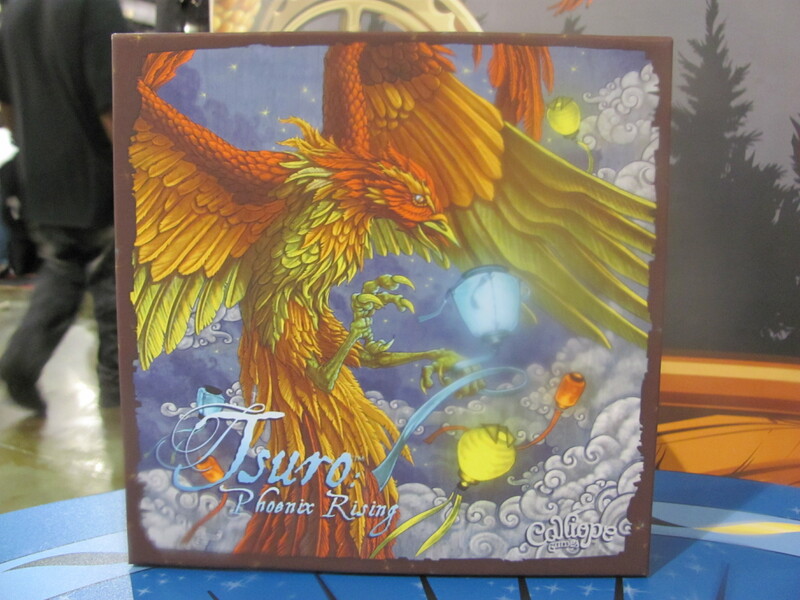 But in this one, Tsuro Phoenix Rising (June, $40), players fly their phoenix pawns through a tile to promote any floating lanterns there in to stars. Then the lantern piece is moved to another tile with a matching colored lantern to show that it has now been released in to the air. The first player to promote seven stars is the winner. In an advanced version of the game, players not only add new tiles to the sky, they can flip and rotate existing tiles as well. 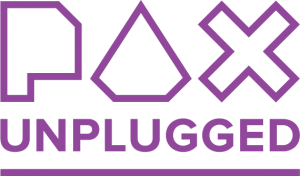 Of course, the copy of the game previewed at PAX Unplugged was just a prototype. However, already I could see that Calliope’s plans should produce a game that looks as elegant as its theme.